No one likes to be caught unawares for the holidays, but let’s face it — sometimes life makes it difficult to get out of the Bay area apartments for rent to do anything other than work or catch the occasional meal. That doesn’t leave much time for Halloween planning, and if you’ve been slacking this year in coming up with a great outfit, you might be finding yourself in a bit of a crunch trying to brainstorm an idea that won’t look tired, played out, or hackneyed. Never fear, however, because today, we’ve got your back. We’re going to be looking at some stellar last-minute Halloween costumes that you can pull off without the months of planning, searching, and tailoring that a movie studio quality outfit would require. Just bear in mind, just because these ideas are cheap and easy, that doesn’t mean they’ll lack for style or flair. You’ll still look great, and have plenty of people asking you how you managed to pull off such a great outfit. 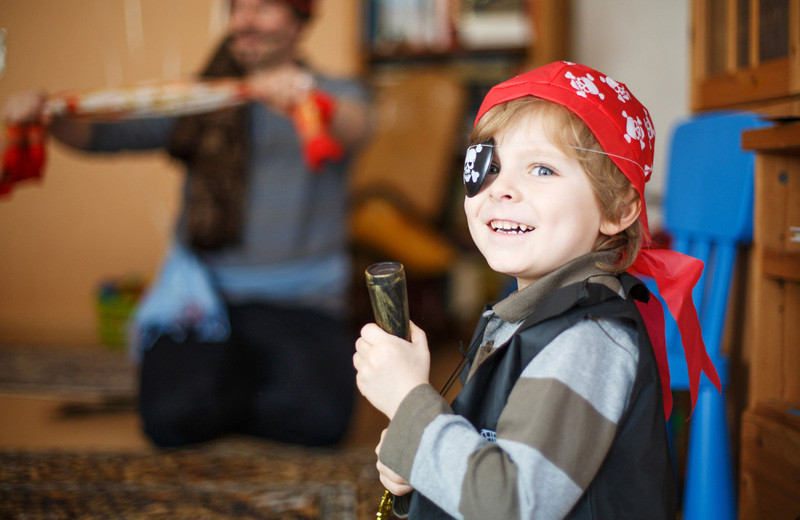 Pirate costumes may have been done to death over the ages, but that doesn’t mean you can’t put a new twist on an old idea. You can dust off that traditional pirate look with a cute pair of boots, a bandana, a tight pair of pants, and a halter top with just a few minutes of rummaging around your closet. If you want to add an extra bit of flair, run down to the costume store to grab an eyepatch and a cutlass, and your Pirate Chic look will be complete. There’s no doubt that the Addams Family has been a childhood favorite for multiple generations, and if you’ve ever read the cartoon or seen the TV rendition or any of the movies, then the Wednesday Addams look surely stuck out for you. It’s not a hard one to pull off either, since all you’ll need are a long-sleeved black dress, a white blouse, and a simple pair of black shoes. If you want to go the whole nine-yards, be sure to get those pigtail braids done up too, and apply just a bit of makeup to secure the look. If, for some reason, you’re having some difficulty bringing it all together, check out this DIY tutorial from Paper & Stitch that breaks it all down. The 1920s, with all their glitz and glamour, make for a popular decade to base costume parties off of, and there are plenty of boutique stores that cater to selling items from this and closely-related eras. For women, a flapper dress, a quick bob cut, and a stylish headband will usually do the trick. For the guys, break out those suit jackets and stovepipe pants for a look that would still impress, even today. If you want to go into a full-on character, arm yourself with some prop weapons and make believe you’re one of the biggest, baddest, gangster duos from the prohibition-era. If you ever took dance classes as a kid, you might remember that costumes were par for the course whenever a performance or recital rolled around. Just troll the dance stores for an ensemble that fits your mood, or break out the old ballet shoes and strut your stuff when you head through the door of that Halloween party. Men can get in on the act too. With a fly suit and a slick pair of tap shoes, you can put on your best Gregory Hines impression and introduce a bit of rhythm and soul to Halloween. When you think about it, Disney’s Snow White wasn’t wearing anything you wouldn’t be able to find today: a yellow skirt, a blue shirt, a red sash and bow. You might have worn that exact outfit last Tuesday, so check through your wardrobe and you could already have a great Halloween outfit on hand. To seal the deal, carry around a (not so poisoned) apple and stock your entourage with a dwarf or seven. Bank robbers and criminals are an (unfortunate) part of our society even today, but that also means dressing up like one isn’t much of a stretch for you to pull off. For both men and women, just clip a few stills from Ben Affleck’s 2010 feature, The Town, and accessorize with a prop gun or two to complete the look if you’re feeling lazy. If you want to go with more of a fantasy take, though, the striped shirt, “Hamburglar” look isn’t difficult to pull off either, and you can supplement it easily with a domino mask, fedora, and ridiculously oversized bag in which to stuff your loot. Everyone’s favorite 90s super-criminal can return, courtesy of you, with just a red trench coat and hat. The turtleneck she’s worn has varied over the year, so you can rock either the orange or black variation, and a pair of black thigh boots have never been that difficult to track down. For guys, donning the outfit of one of Sandiego’s many underlings wouldn’t be that much of a stretch, or you could go for a 90s puzzle game crossover by breaking out the red & white striped shirt and taking a turn as everyone’s favorite — Where’s Waldo. As it usually is, Halloween in the East Bay is a night to remember every year, and this one won’t be an exception. Especially in communities like Fourth Street East, where everyone comes together in the spirit of the season and puts on a show for the ages. There will be frights, parties, trick-or-treating and more among these fabulous living spaces, and if you’d like to get in on the action for next year, be sure to check out what these apartments have in store, and reach out to learn about our availability today.